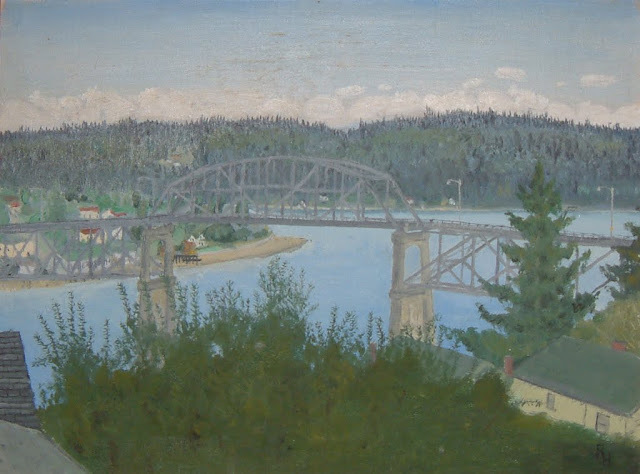 This was painted while we lived in Bremerton, Washington, from July through November, 1955. This was the view from our third floor walkup apartment on Highland Street. It is the Manette Bridge, over a portion of the Puget Sound. She has it hanging in her apartment now.